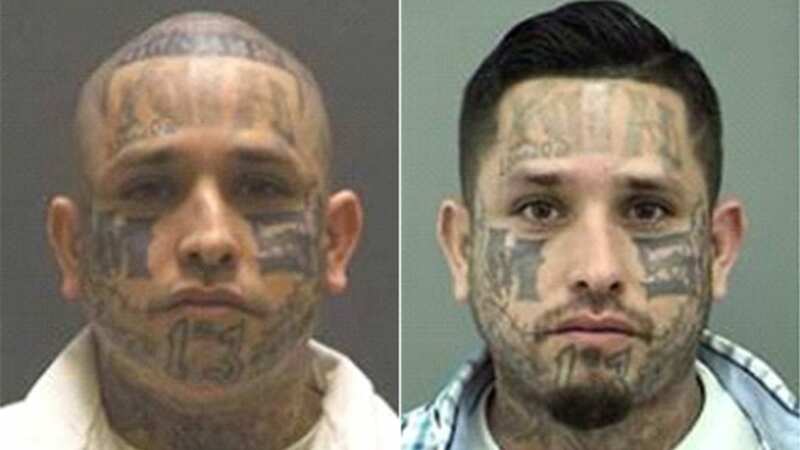 You don’t have to be an expert in gang tattoos to spot the latest addition to Texas’ 10 most wanted fugitives list. Rodrigo Flores, 34, has been added to the Texas 10 Most Wanted Fugitives list and is affiliated with the MS-13 gang, according to officials. Flores is described as 5-7, 180 pounds with numerous tattoos on his face, back, chest, neck, hands, arms and legs, in addition to a scar on his right forearm. The 34-year-old has the letters “M” and “S” on his cheeks and the number 13 on his chin. “Flores may be known by the nicknames of ‘Scrappy’ and ‘Rigo,'” officials said. Anyone with information on the 34-year-old’s whereabouts is asked to contact the Crime Stoppers hotline at 1-800-252-TIPS (8477). Tips can also be submitted through the Texas DPS website by selecting the fugitive you have information about, and then clicking on the link under their picture. Tips can also be submitted on Facebook by clicking the “SUBMIT A TIP” link. “All tips are anonymous – regardless of how they are submitted – and tipsters will be provided a tip number instead of using a name,” officials said.